Persistent dry conditions and anomalously weak winds occur below the high-pressure area. Depending on the topography and position of the blocking event, persistent rain (and potentially flooding) may occur if the unstable throughs adjacent to the high-pressure area may receive sufficient moisture (e.g., a warm water mass; for Europe, this may be the Mediterranean Sea). The scientific and societal importance of these anticyclonic systems is explored by a 'storymap', which may be found here. 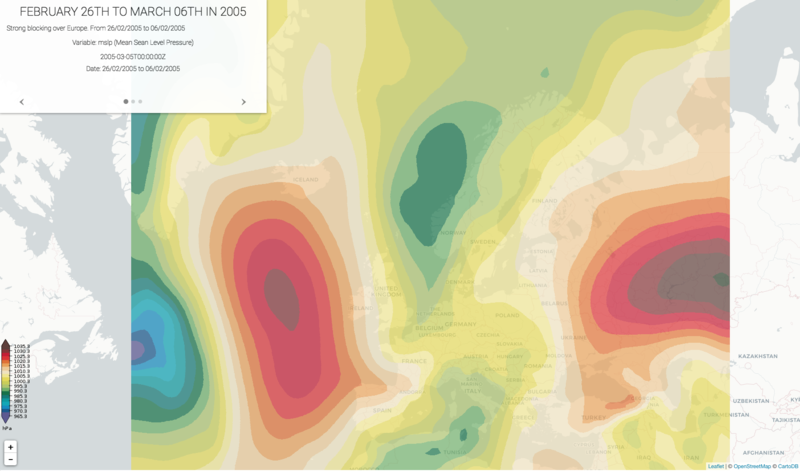 Figure | Atmospheric blocking 'storymap'. The figures shows an omega-type blocking event.